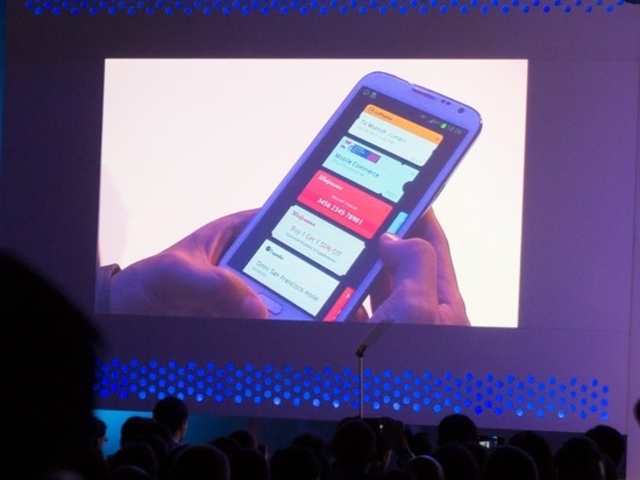 Samsung took the wraps off of its new Samsung Wallet app during a developer conference at Mobile World Congress on Wednesday. The Wallet app is designed to let users store things such as event tickets, boarding passes, membership cards, and coupons in one central location, much in the same fashion as Apple’s Passbook app for iOS. Take Passbook. Rotate tickets 90º.